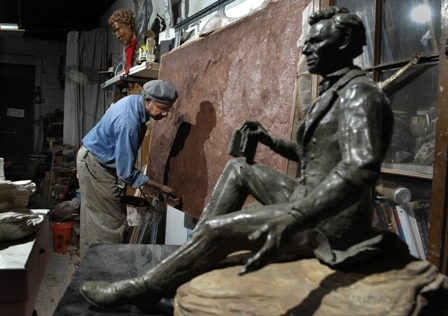 Louisville Sculptor Ed Hamilton’s African American Civil War Memorial is in this month’s Ebony | Welcome to "The VIPP Report"
The VIPP Report: In the February edition of Ebony Magazine renowned sculptor Ed Hamilton has one of his pieces featured. 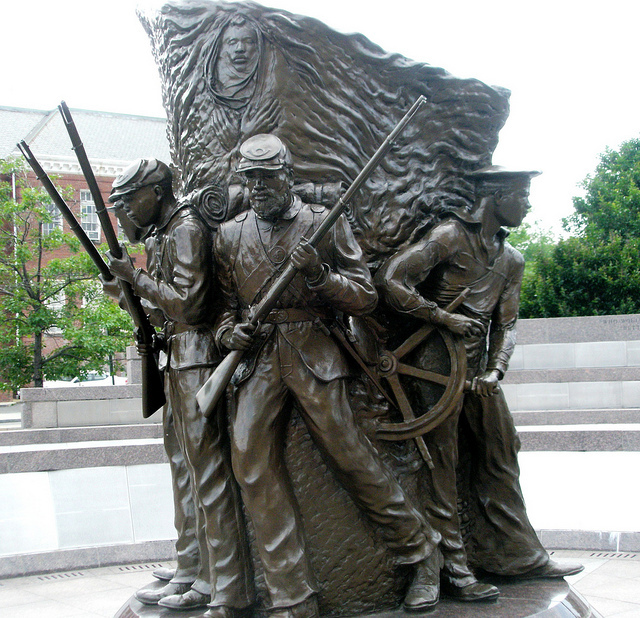 The African American Civil War Memorial began in 1992 as a Bill in Congress presented by Representative Eleanor Holmes Norton of the District of Columbia. Work began to develop the site and select an artist to design the commemorative art piece. The DC Commission on the Arts and Humanities commissioned The Spirit of Freedom designed by artist Ed Hamilton from Louisville, KY. To learn more about Hamilton contact sshanklin@vippcommunications.com. This entry was posted in Black/African American History, Entertainment, Newsmakers, Uncategorized and tagged African American, Black History, Civil War, Ebony, Ed Hamilton, Memorial, scupltor. Bookmark the permalink. I remember the unveiling of the statue; the crowds of people from various states, the parade of Civil War soldiers, the Civil War enactors milling throughout the crowded street, vendors hawking t-shirts and other mementoes was something to see. It was ,indeed, a moment in time.